The breakdown of your marriage can be extremely painful emotionally, but with the right knowledge and planning, it needn’t be financially devastating as well, says Citadel advisory partner Kirsten Smit. Being proactive can help you avoid unnecessary, costly mistakes that could impact your future financial wellbeing, she says. Your first step should be to check your matrimonial regime, and how this will impact you financially upon exiting the marriage. For instance, check whether you are married in or out of community of property and whether the accrual system applies. Next, gather the details of your and your spouse’s assets and liabilities, as well as your income and expenses. The more detailed and accurate the information, the better. If retirement benefits are to be included as part of the settlement, make sure you understand the legislation around the valuation of these assets when it comes to divorce, as they differ according to the type of retirement product. It is also critical to immediately reinstate medical aid in your own name if you will no longer be covered under your partner's medical aid. 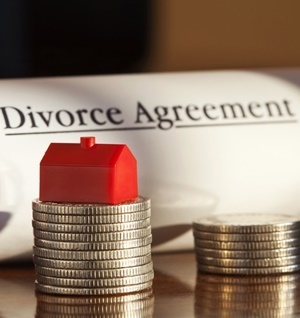 Divorce not only entails a splitting of assets, but also the additional expense that comes with running two separate homes. Realistically, this usually means a cutback in lifestyle. Look for places where it will be quickest and easiest save, or consider downscaling your home – this comes with immediate savings in rates, insurance, staff payments and utilities. Make saving and investing a priority. Treat savings as a monthly expense and set up debit orders. If you have children, make sure your divorce settlement document deals with the potential death of a partner, especially if maintenance is involved. In many cases, a life cover policy is put in place for the period under which the spouse is obliged to pay maintenance. Amend your will to reflect your new marital status and change any bequests you no longer want. Ensure both you and your spouse have nominated guardians in your wills. Remember, minor children may not receive inheritances, meaning any proceeds from your estate would be paid into their guardian’s account – if you wish, you could instead set up a testamentary trust for your children's welfare. Also consider setting an age of inheritance or requesting that trustees use their discretion, depending on when your children become mature enough to use their inheritance wisely. Get the guidance of a specialist family law attorney for the best settlement possible, as well as a professional financial advisor to help you avoid costly financial mistakes. The question of whether you should continue to consult the same advisor as your spouse will depend on your own level of comfort.